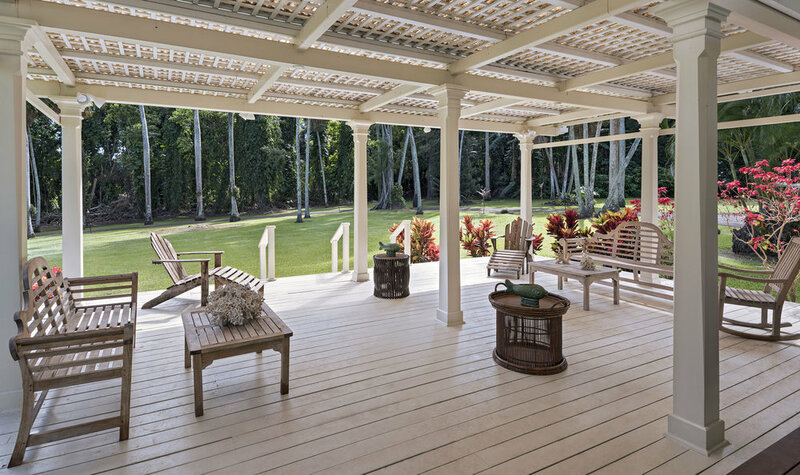 The Plantation Guest House is an elegant and secluded home unlike any other venue on Maui. Originally constructed in the 1940s and extensively renovated in 2018, the former ranch manager's residence welcomes guests with a distinct sense of arrival via a private drive, lined by regal palm trees and flowers, that climbs above the surrounding property and reveals the plantation lawn. A traditional white exterior houses a casual but well-appointed island-themed interior in large, generous spaces on a single floor. Room for the whole family; two king beds, two queen beds, and four day beds sleep up to twelve people comfortably.